The hotel industry is booming. The independent hospitality sector has been seeing greater growth than big brands or chain hotels according to a 2017 study done by Expedia. Expedia also calculated the percentage of vacation expenses that go to hotel owners and they found that on average 27% of vacation budgets is spent on the hotel where the vacationers stayed. Trends like these make it even more important for hotel owners to be on top of their hotel financing. 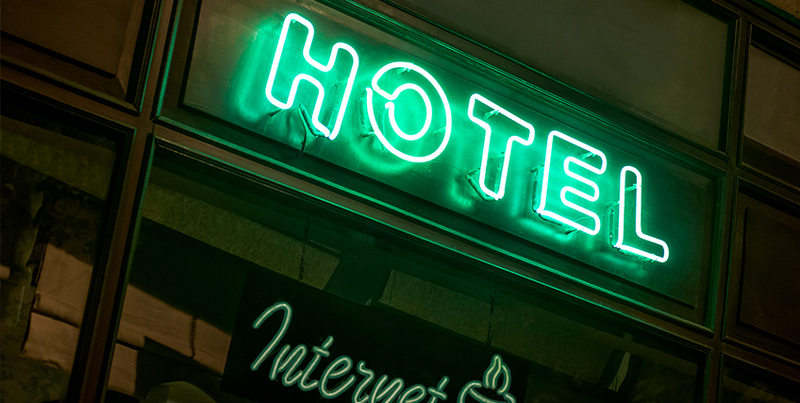 Any shortage of funding could lead to major lost revenue for hoteliers, especially if it comes at the wrong part of the season. Just as there are a variety of hotel options for customers, there are plenty of financing options for owners of hospitality businesses. Having the best financing and loans to keep your hotel running at full steam is critical to gaining a foothold in the market and staying profitable. So, whether you already own an established thriving hotel or you are looking to buy a new one, you do have choices to make. The Small Business Administration offers two types of loans that should be at the top of every hotel owner’s list: The 504 and the 7(a) Loans. Depending on your revenue and what you want to use the funds to accomplish you’ll want to choose a different option for your company. SBA 504 Loans The 504 Loan Program provides approved small businesses with long-term, fixed-rate financing used to acquire fixed assets for expansion or modernization. This usually means that it’s the best choice for business owners who are looking to purchase or develop new property. 504 loans are made available through Certified Development Companies (CDCs), the SBA’s community-based partners for providing 504 Loans. An advantage of using a 504 loan is that as a borrower typically you only need to cover 10% of the project costs with the other 90% split between the government and the CDC lender. But one of the drawbacks of these loans is that they are restricted in the ways that they can be used. Specifically, the proceeds from 504 Loans must only be used to purchase fixed assets. Luckily for hotel owners there are a lot of projects that will qualify, including the purchase of an existing structure, the purchase of land or improvements to existing land (parking lot, landscaping), the construction of a new facility or modernizing a current facility, the purchase of long-term machinery or refinancing existing debt for one of those reasons. You will have to have the paperwork already prepared when you apply for an SBA 504 loan so that the purchase reason can be validated. The payback of the loan involves a fixed interest rate and a 20 year payback (10 years if it is used for equipment). You may also be eligible if your loan supports a community or public policy goal. Specific details can be found at the SBA website. SBA 7(a) Loans An SBA 7(a) loan is another good option for hotel companies. If you can demonstrate a need for funds and have a sound business purpose in mind, you’re on the right track for this special small business financing. To be considered eligible for the SBA 7(a) Loan Program, your business must meet SBA’s size standards and be considered small within your particular industry. Depending on the scale of your operation, you might run up against this size limit. But if you see that you qualify you’ll also have to be sure you’re showing a profit and meet the equity requirements. 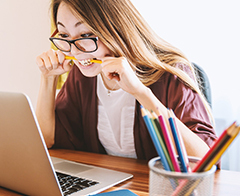 Probably the biggest drawback among the eligibility requirements is that you must have tried to use other financial resources, including personal assets, before applying for a loan. So if you are looking to cover emergency expenses or need working capital for most reasons, the 7(a) might be the appropriate tool. Another difference with the 7(a) is that it is often tied to a variable interest rate and the payback terms are shorter. Term Loans The most common type of financing that most hotel owners will recognize is the conventional commercial term loan. The term loan is a standard debt financing option that has standard payments (usually monthly) with a maturity and amortization schedule, ranging anywhere from 6 months to 30 years in length (depending on the purpose). Term loan sizes for small and medium-sized businesses can be as small as a few thousand dollars but are typically issued for larger purchases in amounts of over $1,000,000. The repayment schedule associated with most term loans calls for payments to be made monthly, although some alternative lenders will require payback be made on a weekly or even daily basis. Long-term Commercial Loans are typically for larger amounts and are most often used for financing real estate. Medium-Term Loans are the most common types of traditional loans for small businesses. They can be general purpose and paid back from 1- 5 years. 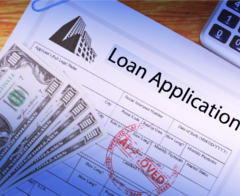 Loan Amounts vary anywhere from $25,000 to $5 million. If you think your hotel might qualify for a term loan you can check out further information here. Lines of Credit A line of credit for a hospitality company or hotel owner is a flexible form of financing that allows the owner to have access to financing whenever they need it. Whereas a term loan requires getting preapproved, due diligence and closing before funds can be disbursed, a line of credit allows the small business to access and draw on money as and when they need it without requiring further approval. Lines of credit generally have stringent criteria for being approved since the bank will have to provide access to the funds even if the business owner never tries to withdraw them. Not every hospitality company has the revenue and cash-flow to support these higher levels of due diligence. But if the hospitality company has assets on their balance sheets with decent equity, they can then use those assets as collateral to obtain an asset-based line of credit. 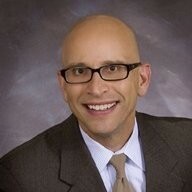 Typical forms of collateral include commercial real estate or accounts receivable. Unsecured Loans An unsecured loan is almost the exact opposite of an asset-based line of credit. Whereas an asset-backed loan uses the company’s balance sheet assets as collateral, an unsecured loan does not use any collateral as the basis for providing financing but, instead, relies solely on the business’s cash flow, ability to generate profits and the owner’s personal credit (which usually needs to be above 700). Unsecured loans can be great options for hotel owners to cover smaller, minor expenses since they don’t have all of the same strict requirements as traditional term loans or lines of credit. However, rates will generally be higher and there may be limits to how much the hotel can borrow through unsecured financing. Business Cash Advance A cash advance, often also known as a Merchant Cash Advance is the most common type of short-term financing used for working capital purposes. A merchant cash advance is technically not a loan since the hotel agrees to sell the revenue from future sales in exchange for a lump sum upfront. Therefore, it’s not actually a loan but, instead a business-to-business transaction. This type of financing is perfect for hospitality companies who need financing very quickly or that are looking to keep improving cash flow if they’re waiting on funds from travel agencies or online reservation sites to clear. Equipment Financing One less common way for hotel companies to get funding is through equipment financing. Although it’s usually less common for hotels to need to purchase very expensive new equipment, it can still happen. When it does, equipment financing is a good option. Sometimes hospitality companies need business equipment but don’t have the cash on hand to purchase the equipment outright, nor do they want to go through the effort of taking out a full-blown term loan to obtain the equipment. 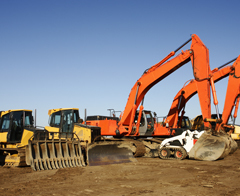 Equipment financing can be a great option in these situations because it helps to spread out the cost of the equipment over a longer period, allowing you to recoup the expense more quickly. This helps you avoid upfront costs. As you can see there are plenty of financing options available to small business owners in the hospitality industry. If you’re looking for a hospitality loan, but feel you need help understanding your options to ensure you get the best rates and terms, you don’t have to go it alone. Use the options above or speak to a small business funding specialist about your unique needs.